Trade War is a situation that has a direct impact on a country(s) economy, imports and exports. It may also affect particular segments of the stocks in a country. The impact of a trade war is also different on different countries. In some cases, there may be very little or no impact on a country depending on how dependant its economy is on trades with other countries. Let us understand what is Trade War all about? Basically, trade war is a situation in which a country imposes tariffs on another country with the intention of regulating trade inflow and outflow with that country. Tariffs are taxes levied on certain products/trades when they are imported from another country. The United States and China are involved in imposing tariffs on each other when it comes to certain imports in order to restrict trades. The US President Trump in early March imposed aluminium and steel tariffs. The step was taken to protect American industries. He further made an announcement imposing 25% tariffs on $50 billion to $60 billion worth of Chinese products imported into the US. The products majorly included aerospace, information and communication technology and machinery. In response to this, China placed fees on a wide range of US product imports to China. The products targeted included scrap aluminium, sparkling wine and apples. In retaliation, Trump then further announced tariffs on 1300 Chinese products, to which China responded by targeting Boeing airplanes. While this may seem like a hostile situation between the two countries, this is actually just an initial trial of a trade war. The trail is moving on each day as both the countries are slapping back continuously. Meanwhile the rest of the countries are busy predicting the impacts this ongoing trade war may have on their trades and economy. Now, our concern is what’s happening with India. The Trade War has a new feed almost every day, followed by a flow of opinions, market reading, perspectives, calculations, making the market uncertain and foggy. While some see benefits for the Indian trade, other don’t. 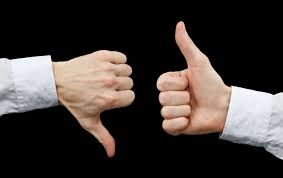 Some analysts are of the opinion that India will not be impacted by the Trade War. There’s section of people that sees the trade was as an opportunity for India. But from a global trade perspective, all countries including India will be worse off if a trade war were to break out as it will hurt global growth and demand. Our exports plus imports of goods and services constitute around 42% of GDP. India’s current account deficit (Import minus Export) is dependent on external capital inflows for financing. Some economists have explained that India could benefit from the trade war between US and China by plugging the gaps in the US imports from China. But if we look at the bigger picture, it is clear and an accepted fact that India’s manufacturing ability in a range of value-added products like high-tech goods has the least presence in comparison to China. India could considerably increase its export of textiles and gems, but to meet the demands in other categories is quite impossible. Also, India cannot expect gains from higher agricultural exports, due to an ongoing dispute with the US over its farmer subsidies. India is a minor exporter of the two metals that U.S. President Donald Trump has announced tariffs on—steel and aluminium. India is among the top four manufacturers of steel globally, but it exports less than 10 percent of its total production. approximately 2 percent of U.S. steel imports. While the direct tariff impact on India will be minimal, global prices will likely remain under pressure, as stated by the HSBC Global Research report. 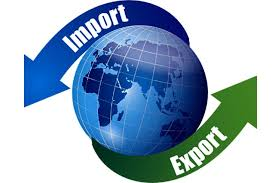 Prices will remain under pressure as exports will now need to be rerouted to other markets. 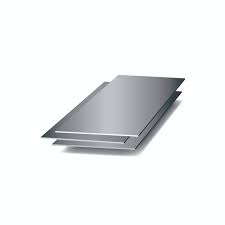 The world’s largest aluminium producer is China. It accounts for over 50 percent of the metal’s global trade, whereas India accounts for only 5 percent of the global primary aluminium production, making the impact of the tariff minimal. India exported Rs 2,346 crore of aluminium and aluminium products to the U.S, according to Indian government data in the financial year 2016-17. It was a scary opening as the BSE Sensex dropped over 400 points. The NSE barometer Nifty tumbled below 10,000 level for the first time in 2018. 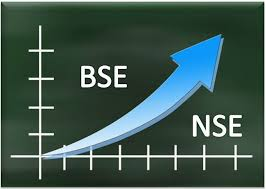 The BSE Sensex closed at 410 points, or 1.24 percent down at 32,597, while the 50-share Nifty settled at 117 points, or 1.15 per cent down at 9,998. This was the immediate effect of the trade war between the two efficacious powers – US and China. In February, Trump had said that the Indian government’s decision to reduce the tariff on Harley-Davidson motorbikes imports from 75 per cent to 50 per cent was not enough and asked that it should be reciprocal, as the US imposes “zero tax” on the import of motorcycles. 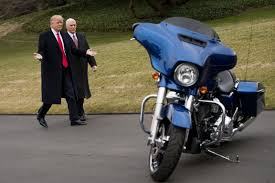 Trump has repeatedly raised the issue of high tariffs by India on high-end Harley-Davidson motorcycles, which in part is responsible for the current trade tension between the two countries. There was a strong warning from Donald Trump reflecting the actions he may take to counter the tariffs imposed by India. Even though the trade war today doesn’t show any significant impact on India, the Harley story may just be the beginning of a long drawn tussle between India and US. In conclusion, it is in the interest of all countries to work together in terms of trade negotiations and maintaining mutually beneficial trade relations with all countries and avoid any conflict that may negatively impact the global trade and economy. Someone essentially help to make seriously articles I would state. This is the first time I frequented your web page and thus far? I surprised with the research you made to create this particular publish extraordinary. Wonderful job!